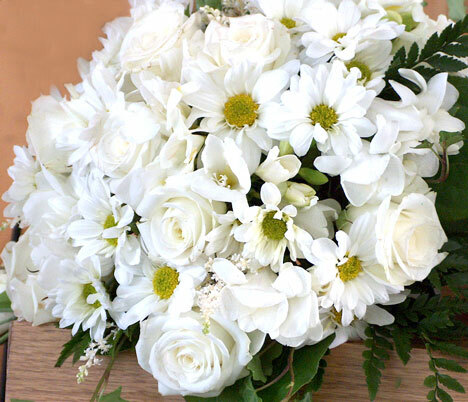 Bridal flowers, comprised of white roses and Shasta daisies, are arranged in a classic round bouquet. Daisies add a light, open element to complement the formal structure of the roses. Green ivy and ferns add color, making the beautiful, white flowers stand out against a white wedding gown.